This question always comes up as soon as we present a new model! your choice: even getting in and driving away is possible! Since 2006 we have been producing showcars (size 1:1) on behalf of well-known car companies. We are commited to providing outstanding quality products for promotional purposes. It has been successfully proven that proper presentation at dealerships and showrooms provides a first-class sales assistance for product placement of new car models. Each single model is made of Fiberglass and come partly equiped with original mounting parts. Because of the light, weatherproof construction method and an intergrated steelframe, installation either indoor or outdoor is possible, either on the floor, on a wall or even up side down. Additionally the front and back lights can be put into operation by plug n` play. 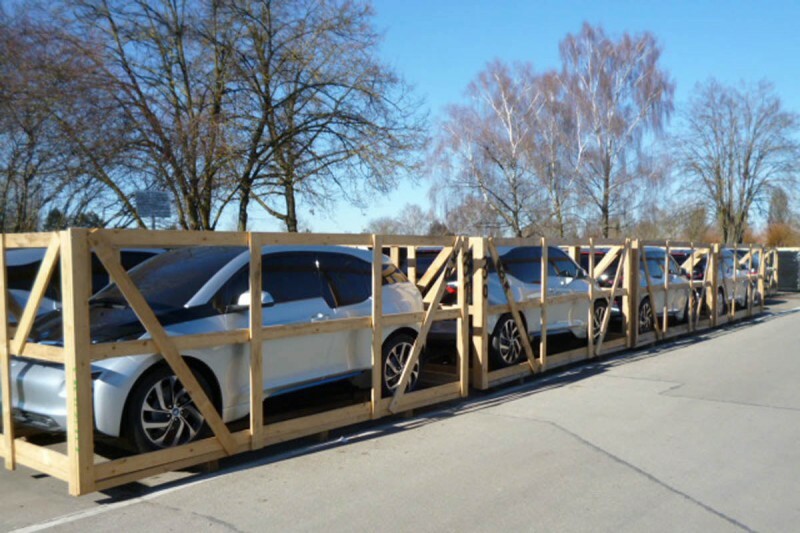 As part of our commitment to excellent service we will also take care of the logistics in order to transport the Fiberglass-models/Showcars to the final destination, via truck, sea-freight or air-freight. Between our experience over the years and great contacts to shipping companies we´ve shipped over 1000 models safely packed worldwide.